Sutton, MA, September 9, 2010 — As the nation approaches the 150th anniversary of the Civil War, 1861 to 2011, Judi Vaillancourt of Vaillancourt Folk Art was asked by several museums, Gettysburg, Pa. The Ford’s Theatre in Washington D.C. and The Lincoln Museum in Illinois, to design commemorative “Chalkware” figures. After a year of development and research Judi has created an Abraham Lincoln figure as well as a Civil War Santa based on the drawings of 1860’s artist Thomas Nast and two Snowmen with a patriotic theme. The new pieces were introduced at the Gettysburg Museum on September 4th to rave reviews. On September 24th from 7 to 9pm and September 25th from 10am to 4pm, 2010, Judi will be unveiling and signing this Civil War line locally at her gallery on 9 Main Street in the Manchaug Mill in Sutton. She has reserved the first ten numbered pieces of each style for area collectors. Vaillancourt chalkware is traditionally made in antique moulds, however for the Lincoln figure, Judi had to design the piece and then have a special mould sculpted. 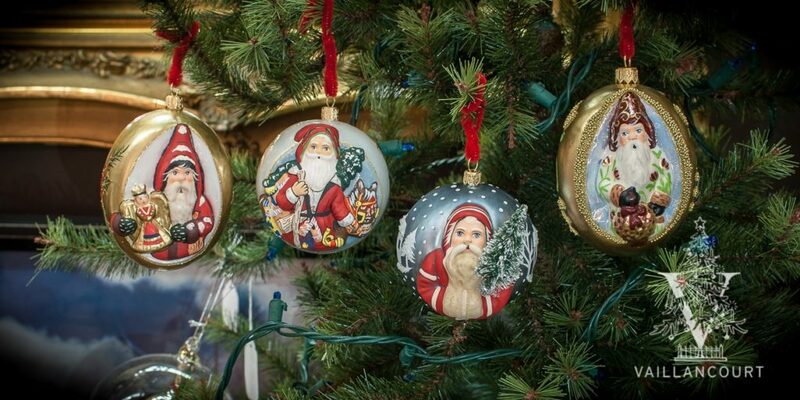 The Santa and snowmen are from antique moulds and all the designs are hand painted using artist’s oils in the Manchaug Mills studio. The development of this historic line is a continuation of Judi Vaillancourt’s custom projects with museums including Colonial Williamsburg, The Museum of Fine Arts, Monticello, Montpelier and other historic sites. Vaillancourt Folk Art has been creating highly detailed, hand-painted collectible chalkware from antique moulds in their Sutton, Massachusetts studios since 1984. With a goal of creating that one special gift that will be handed down for generations, Vaillancourt chalkware is an original form of art. Still family owned and operated, Vaillancourt products are available to 500 stores around the nation, including Nordstroms, Neiman Marcus, Williamsburg, Museum of Fine Arts, Boston and hundreds of small shoppes. Their Sutton Studio, Museum, and gallery is open daily, Monday through Saturday 9-5 and Sunday 11-5.